Chemical peels and IPL provide phenomenal results for your skin. Regular IPL treatments can remove pigmented and vascular lesions all the while improving skin texture, tone, and overall pigmentation issues. IPL or Photo Facial uses broad spectrum visible light to target melanin in pigmentation spots, broken capillaries and rosacea. Once an area has been treated with IPL, patients may see areas resembling coffee grinds or black specks on the treated area. These will eventually flake off the skin and results can be seen even after 1 treatment. Chemical peels can be performed at least a week after an IPL treatment to easily remove these “coffee grinds” and leave your skin feeling refreshed and renewed. Chemical peels have the added benefit of addressing enlarged pores, oily skin, pigmentation concerns, acne scars, wrinkles and sun damage. 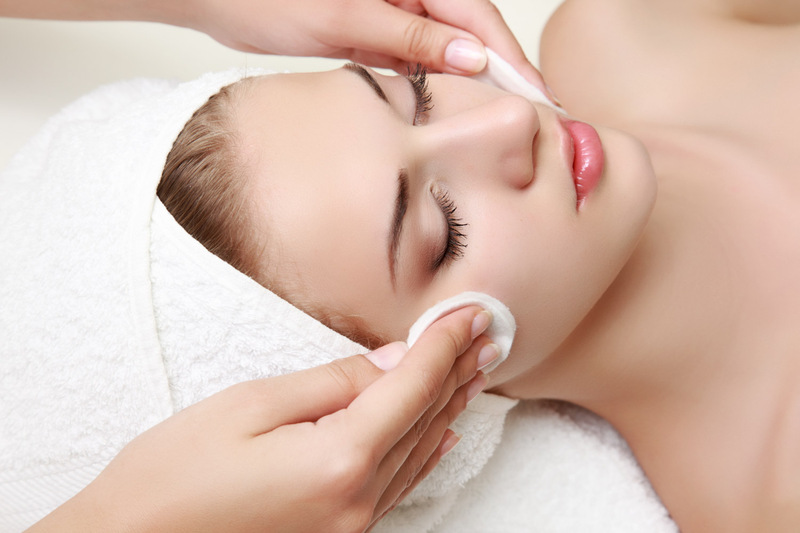 Chemical Peels also help to aid the natural exfoliating process which slows down as we age. This deeper exfoliation helps to resurface the skin and trigger new skin growth. Chemical peels use glycolic, salicylic , or lactic acid that helps to remove the upper layers of the skin while stimulating deeper cellular renewal. Lighter chemical peels will deliver light surface results with little to no down time, while deeper peels that require more down time, yield further resurfacing results. For both Chemical peels and IPL treatments it is vital that patients stay out of the sun completely. Protecting the skin from further damage is essential in maintaining good results. It is best to use a mineral based sunscreen with zinc oxide or titanium dioxide every day. This will avoid any pigmentation issues and prevent damage from the sun. Start a new skin routine with Chemical peels and IPL today by visiting Lasting Looks Clinic in Toronto. Find out more about IPL and Chemical peels on our website at www.lastinglooks.ca. Acne Peels Toronto & Chemical Peels – What To Know Before! 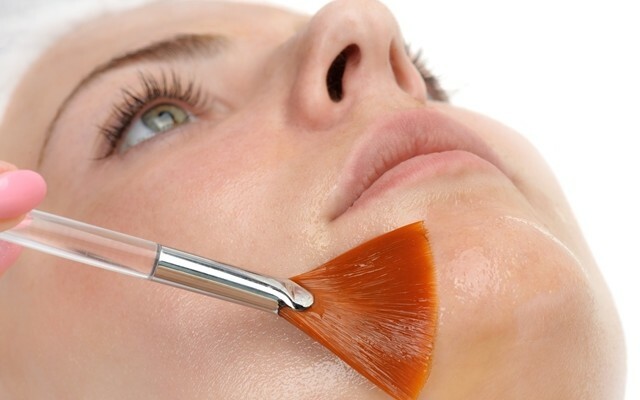 A Chemical peel or an Acne Peel is a procedure where a chemical agent of a defined strength is applied to the skin. The peeling agent then causes a controlled damage in the layers of the skin, followed by regeneration and remodelling, plus an improvement of skin texture. 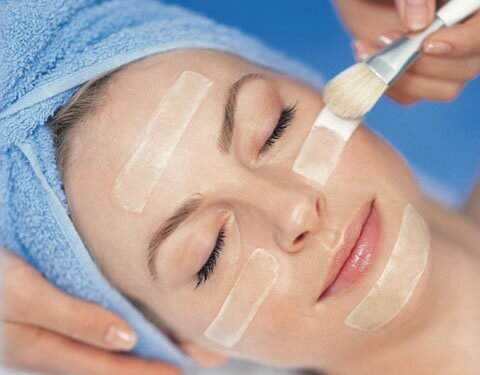 Some chemical peels are designed to target and treat acne. Acne peels can contain ingredients such as Glycolic, Salicylic, and or Benzol Peroxide. These products work to treat active acne, by opening comedones, loosening plugged pores and exfoliating the skin. Some ingredients in chemical peels are also anti-inflammatory, which not only helps to suppress active acne, but remedies inflammation in the skin as well. While chemical acne peels provide benefits, precautions must be taken, as well as noting the contraindications. Patients must be sure to stop using any home-care products that contain Benzol Peroxide, Salicylic , Aha’s, or Retinols at least one week before and one week post treatment. These products can cause burns, and sensitivity to a chemical peel or acne peel. • Avoid shaving the treatment area the day of the appointment. It is wise to discuss your medical history, medications, allergies, skin type, and any tendency for scarring, keloiding, or poor healing with your skin specialist. Also, it is important to let your provider know if you have a history of cold sores, so that a prescription for an antiviral medication can be given to avoid a cold sore outbreak. Although complications can occur with chemical peels, they are quite unlikely in well-trained hands. It looks similar at first, but in reality rosacea is quite different than acne, although the two can coexist. A general rule of thumb in distinguishing between Acne Rosacea and Acne Vulgaris is that blackheads (comedones) occur only in acne, while rosacea alone involves persistent redness and flushing. Rosacea appears as surface redness or raised red spots with no blackheads or whiteheads. These small red bumps are not “squeezable” or extractable like blackheads. The exact cause of rosacea is still unknown and remains a mystery. The basic symptoms seem to involve dilation of the small blood vessels and inflammation of the face. Unlike with acne vulgaris, patients with rosacea do not usually have oily skin, because the condition has nothing to do with blocked pores and sebum production. Rosacea is caused by the skin itself becoming irritated rather than pores blocking. Type 1: Erythematotelangiectatic Rosacea, associated with redness, & visible blood vessels. Type 3: Rhinophyma Rosacea associated with thickening of the skin of your nose. Rosacea is also typically found on the cheeks and nose, and can spread to the forehead and chin, but this is less common than with acne, where the chin is mostly often plagued. To treat acne rosacea, it is necessary to take a completely different approach than treating typical acne. Certain chemical peels can aggravate rosacea where as a Salicylic Acid Peel, helps to calm inflammation, caused by Stage 2 Rosacea (Acne rosacea) and also works well with acne patients. Another peel, mild yet effective enough that can treat the rosacea and acne overlap is the Perfect Derma Peel, which also contains salicylic. This peel can target acne as well as providing deep exfoliation to reveal healthier and clearer skin. IPL (Intense Pulsed Light), commonly referred to as Photo Facial or Photorejuvenation, uses pulsed light to target vascular lesions and redness under the skin’s surface, which is beneficial to Rosacea patients. Acne Rosacea is a skin condition that affects over two million Canadians, and although it does not go away, it can be controlled. Acne as well can be treated and controlled with appropriate lifestyle changes, topical medications, as well as clinical procedures. The National Rosacea Society estimates that over 16 million Americans suffer from rosacea. Most patients with rosacea experience excessive flushing and redness in the face, possibly due to the higher number of blood vessels and dilated capillaries that are close to the surface of the skin. Rosacea can vary from one patient to another. Acne rosacea, can often display itself as skin bumps formed by a buildup of the skin protein keratin and inflammation around the hair follicle. There has been much speculation as to whether chemical peels will cause increased inflammation of the skin with regards to rosacea patients and their condition. Salicylic acid, a beta hydroxy acid, is a derivative of aspirin, and is thought to be safe and beneficial to keep inflammation under control while increasing the rate of cell turnover. Salicylic acid is also a keratolytic medication that softens keratin, allowing other topical treatments or medications to penetrate skin layers more effectively. A newer chemical peel in the cosmetic market is The Perfect Derma Peel; this particular peel is formulated for sensitive skin. One of its main ingredients is salicylic acid, which is known to help address inflammation. The Perfect Derma Peel exfoliates the top layer of the skin and then replaces it with newer healthier skin cells, which aids in reducing the appearance of redness and acne scars. 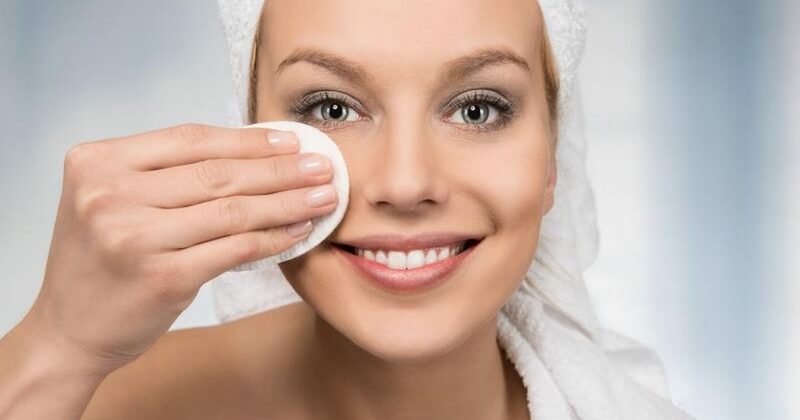 It should be noted that it does take time for skin to adjust to salicylic acid treatments. One may expect increased skin irritation and dryness during the adjustment period, and take several weeks for skin to acclimate. IPL (Intense Pulse Light) or Photorejuvenation is still the gold star treatment for treating Rosacea. IPL and lasers target blood vessels responsible for flushing and redness. A vessel absorb the light energy, and heats them up to seal them, thus improving the appearance of rosacea. Patients will likely need a series of 6-8 treatments spaced a month apart, and maintenance will be required. Please note the worse your rosacea, the more treatments you will need for optimal results. For more information on The Perfect Derma Peel, visit: https://www.lastinglooks.ca/perfect-peel-toronto/ at Lasting Looks Clinic in Toronto. Residual scarring or pitting from acne is common in people who have suffered from cystic acne or more severe forms of acne. Acne scars are often the result of an inflamed lesion, follicle, or pore that becomes engorged with excess oil, dead skin cells, and bacteria. Once the pore swells, it causes a deep break in the follicle wall. The infection spills out into the dermis and destroys healthy skin tissue. Inflamed acne is much more likely to leave behind than smaller non-inflamed blemishes. Acne scarring can also be caused from the constant picking or popping deeper pimples and cysts. Micro needling therapy, also known as skin needling, collagen induction therapy, or derma rolling is a recent addition to the treatment of managing and treating post-acne scars. Micro-Needling uses either a manual device known as the Dermaroller or an electronic medical device that penetrates at variable depths set by a trained technician. The appropriate scar treatments selected should be based on the scar type, skin type and the downtime chosen by the patient. Depths can vary from 0.5 to 1.5 mm, which is generally the depth of most acne scars. The needle penetrates the skin causing a minor injury to the tissue. This penetration gently stimulates the cells to form new collagen and fibroblasts in the scarred area, lifting and filling the depressions. 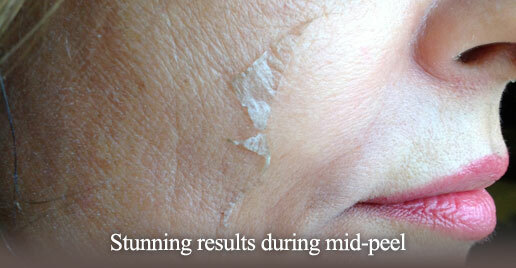 This regeneration of collagen continues for months, building up volume and collagen within the scarred areas. Multiple Micro-Needling treatments can give a patient the same results as fractional laser treatments, laser resurfacing or strong chemical peels. Acne scars that are treated with Micro-Needling have a much shorter recovery time than those treated with other laser treatments. For very deep acne scars, combining micro needling with other treatments such as dermal fillers can provide remarkable results. Four to six treatments are recommended for this procedure to be effective. Each treatment should be spaced approximately one month apart. Lasting Looks Anti-Aging & Laser Clinic in Toronto will provide a customized treatment plan for acne scarring including specific products as well as other personalized treatments. Acne scarring occurs when pores over accumulate with bacteria, excess oil, and dead skin cells making it impossible to breakthrough the skin surface. The accumulation expands until the pore breaks, releasing matter that causes inflammation and scarring. If you have post-inflammatory hyperpigmentation, chemical peels will help hasten the process of removal. If you have slight to moderate acne, vitamin A peels such as the Perfect Peel can aid in making scars less noticeable overtime as well. If the acne scars are deep, these higher concentrations usually aren’t powerful enough on their own to solve the problem. Another treatment option for moderate or deep acne scarring is using a Dermaroller or by receiving a series of Medical Micro Needling treatments. These are very safe and effective treatments for acne scars since new collagen is generated, reducing the amount of sebum production in oily skin. By stimulating new collagen you will see a reduction in scar depth as well as general resurfacing in the area. Usually three to six treatments are recommended. IPL also known as a Photo facial or Photorejuvenation helps in two ways. First IPL will target any redness or discoloration and will help by rebuilding collagen making the scars visibly less deep. IPL is non-ablative, and uses heat that kills bacteria in the skin to lessen breakouts. Often times IPL will be used in combination with clinical peels to create some impressive results. Microdermabrasion is a non-chemical dry treatment that uses aluminum oxide crystals to exfoliate the skins surface. A sterile tip and controlled suction creates a vortex of crystals that rapidly reach the skin surface releasing dead cells. Microdermabrasion is not recommended for active acne as it will spread the acne bacteria to other areas of the face. Lasting Looks Anti-Aging and Laser Clinic carry non-prescription products as well that will help control and eliminate acne which causes future scarring. Our Clear 60 Gel contains ionic silver that kills the p bacteria which causes acne. The Nano silver in Clear 60 purifies the skin and heals open acne very quickly without the use of irritants like Benzol Peroxide or Vitamin A. We also have our proprietary acne spot treatment, Ageless Solutions Rapid Blemish Eraser. This is very effective when used on individual pimples when they appear usually clearing them overnight. Chemical peels can help mild acne, although they seem to be most effective when paired with other treatments. 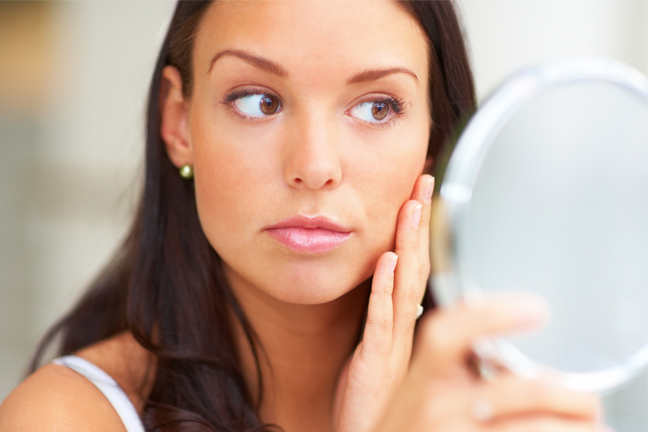 Some studies show up to 50% reduction in acne after a series of chemical peels. Research shows that a combination of chemical peel treatments and topical retinoids or topical Benzol Peroxide yields the best results. Benzoyl Peroxide has been used for many years as the medical ingredient of choice when treating acne. Benzoyl Peroxide is one of the most effective antibacterial agents used to treat and significantly reduce P bacteria within the skin. Benzoyl Peroxide also reduces the inflammation associated with acne. For those that suffer with acne, regular use of topical products that contain medical grade Benzoyl Peroxide will greatly reduce the production of oil (sebum) in the skin and clear acne lesions. Lasting Looks Anti-Aging and Laser Clinic offers acne peels as well as a variety of products to help our patients clear their acne. Most of these products will contain Benzoyl Peroxide in their ingredients. We have found that not only does Benzoyl Peroxide help kill P bacteria in the skin, BP lotion will also help clear blackheads and prevent new acne lesions from forming. As with all products that contain medical grade ingredients, using them once daily, and then gradually working your way up to twice daily is recommended so that your tolerance for these products can be established. Benzoyl peroxide should be stopped 3-5 days before facial waxing, hair removal, facial procedures or chemical peels. Lasting Looks Clinic introduces the NEW “Perfect Peel with Booster”. The Perfect Peel Plus Booster contains the same synergistic blend of ingredients as the Perfect Peel, but at a higher concentration. The new medical grade peel is 25% stronger than the original, and provides even more amazing results! The “Perfect Peel with Booster” will transform your skin into looking younger, healthier and clearer in just one week and is ideal for those that wish to take their peel to the next level. The Perfect Peel with Booster uses a blend of acids including Retinoic (vitamin A), Salicylic, TCA, and Phenol as well as Vitamin C and Glutathione. All of these ingredients work synergistically so that layers of the epidermis are shed off in a controlled manner, leaving the skin brighter, clearer, and with an improved texture. The Perfect Peel with Booster peel will help reduce stubborn hyperpigmentation, sun damage, fine lines and actinic keratosis. The Perfect Peel and Perfect Peel with Booster is not suitable for very sensitive skinned patients. As with all peels, patients are required to stop using Retin A, benzoyl peroxide and all acid based products 5 days prior to their peel treatments. Some patients may peel for up to 10 days. Social downtime is required with no exposure to the sun. Chemical peels can make a huge difference in a persons’ skin. There are many types of peels on the market for both home and professional use. Peels can help to reduce acne/scarring, pigmentation, fine lines and aid in the overall health of the skin. Professional peels are either esthetic or medical grade. With an esthetic (spa) peel, the active ingredients are quite mild and will self-neutralize within a few minutes of application. There is usually no residual peeling from these peels. With a medical (clinical) grade professional peel there are much higher concentrations of the active ingredients. These ingredients are typically acids such as lactic, salicylic, kojic, glycolic as well as vitamin A acid peels and various other types. Some peels may have little to no downtime while others will have significant social downtime. Patients must be made aware of this in order to plan accordingly. At home peels bought at a drug or retail store will have extremely mild ingredients but one should still be cautious of any allergic reactions these may induce. Some people have taken to purchasing peels online to save money. Many online companies sell peels that are not FDA or Health Canada approved. Because most of these products are imported from the Orient or Asia, there is no quality control in manufacturing. Without proper knowledge of the active ingredients and possible side effects, permanent damage may be done to their skin. Some have experienced severe burns, swelling, and permanent hyper or hypo pigmentation. If you are considering a Chemical Peel for your skin; it is very important to go to a clinic where there is a variety available. It is also very important that the Medical Specialist is experienced with different types of skin and skin conditions. At Lasting Looks Anti-Aging and Laser Clinic, we have been performing a wide variety of Medical Grade Chemical Peels for over 16 years. With a wide variety of peels and treatments , we can treat most conditions of the skin. We provide peels that target acne, hyperpigmentation, sun-damage, wrinkles and scarring. Our peels vary in strength from very gentle peels that require no down time, to more aggressive peels that will shed many layers of skin over a number of days. When determining a treatment plan, we take into consideration the skin type, lifestyle, as well as the downtime you can afford. With just one gentle peel, such as a milk enzyme peel or a lactic acid peel, you will be able to see noticeable results. These types of gentle peels will leave your skin brighter, clearer and fresher. Our deeper peels that treat acne, hyperpigmentation and scarring, may require up to 5 days of social downtime, but will bring greater rewards. Most patients that take before and after pictures are astounded at the changes in their skin. Regular maintenance can be done monthly, depending on the type of peel.